This past weekend was our annual girls retreat. We had a great time! It is always wonderful to be able to spend time with dear friends and do something that is so much fun at the same time like sewing and quilting! Here is a sampling of what we were working on. Kathy was working on these two quilts. I also worked on part of my challenge for the Hershey Show. 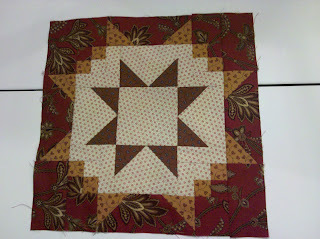 I will have to wait until after the quilt show to share it with you, just in case you attend the show and stop by my booth to vote. 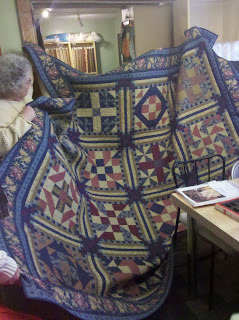 Of course we ate well and visited some quilt shops. It doesn't get much better than that! We had a lot of wonderful show & tell this month! I am always so inspired after a club meeting. I hope you will be too. Enjoy! 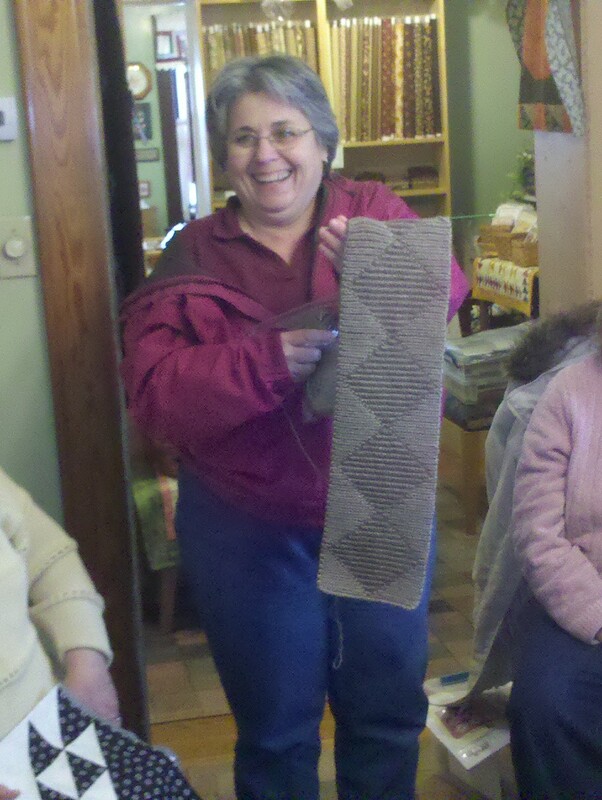 Karen is working on a beautiful scarf. 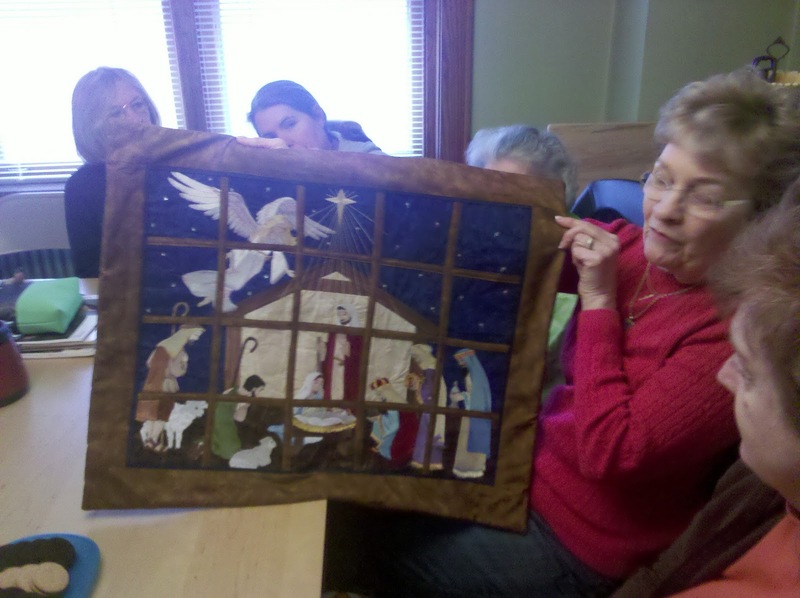 Angie made a beautiful nativity scene using her embroidery machine. 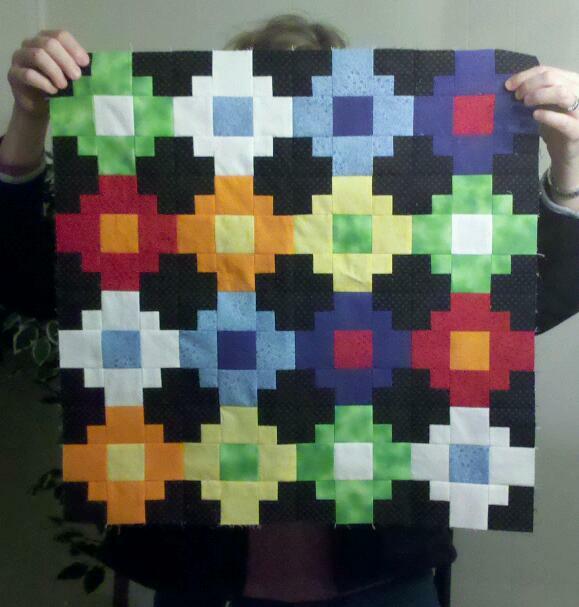 Momma was busy working on her club block of the month. She made 2 blocks which look lovely. 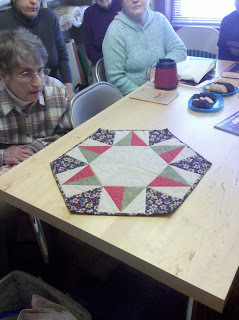 Carol made this beautiful quilt using a Bonnie Hunter pattern Patches and Pinwheels which can be found here. I just love scrappy quilts! 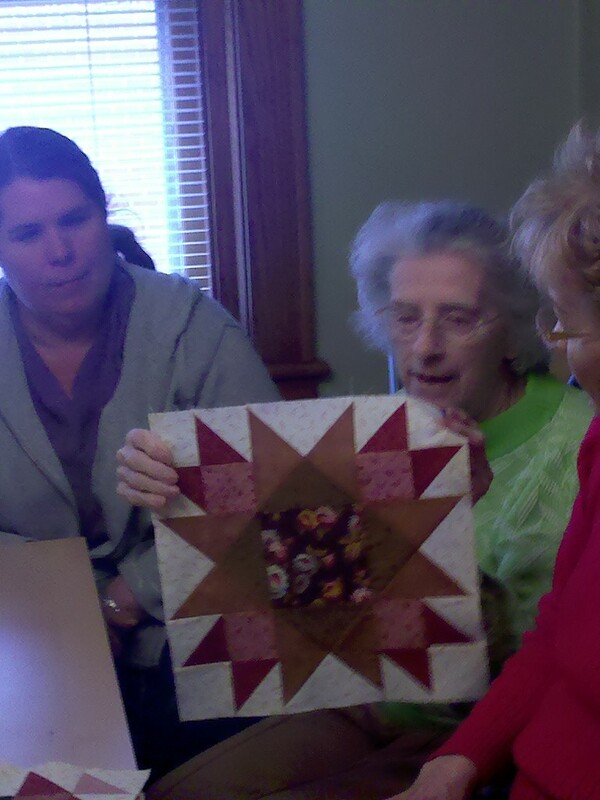 Pat finished her shop hop quilt. Isn't it just great! I love reproductions! Pat also made this table topper from Atkinson Designs called Happy Holidays. 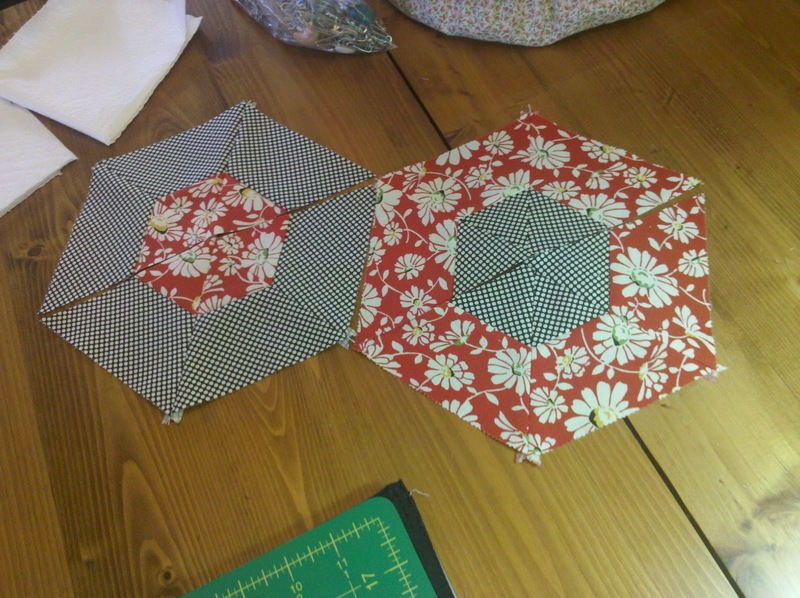 The pattern contains directions to make a table topper in 3 sizes and you can even make one into a tree skirt. This is a new pattern that we just got in. We had such a great time at our meeting. We had a special treat of Pat showing us her favorite method to applique. She will be showing us Part 2 next month. Thanks Pat! It was great! I look forward to next month's meeting. 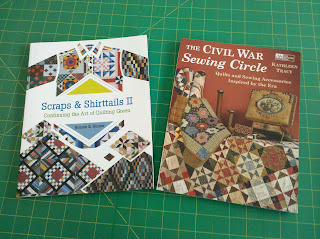 We just got in 2 new books. Bonnie Hunter's Scraps & Shirttails II and The Civil War Sewing Circle by Kathleen Tracy. Many of you know that I am a huge Bonnie Hunter fan. I could not wait to get her new book. 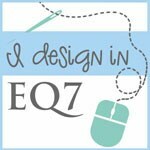 There are so many new projects that I would love to tackle. 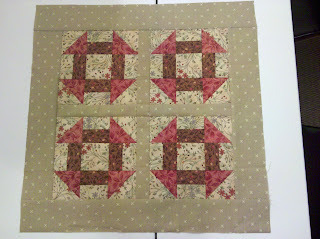 I just love using up my scraps! 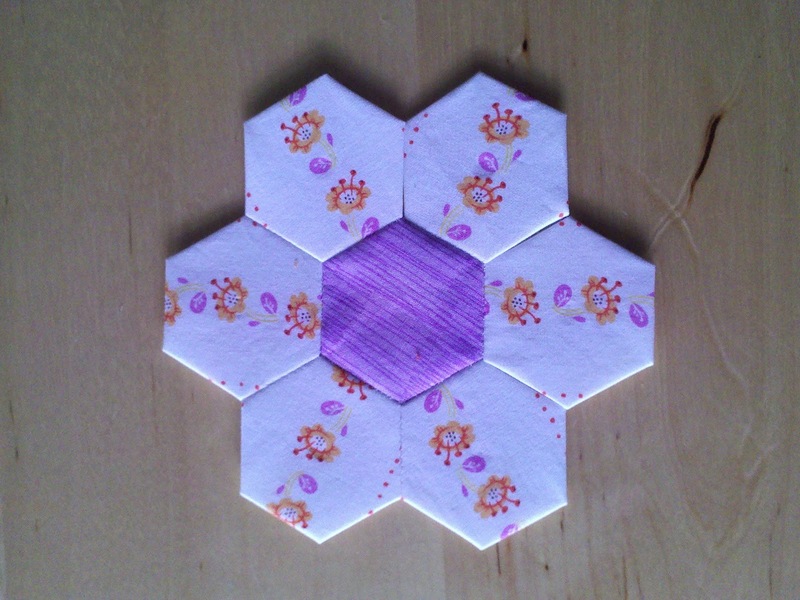 This book continues the art of quilting green with 13 new projects that help you reuse, re-purpose and recycle your scraps into beautiful quilts! 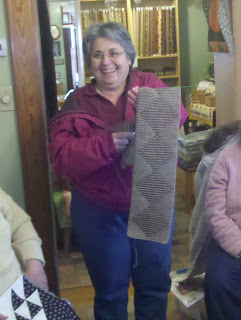 You can find more patterns and info on Bonnie here. 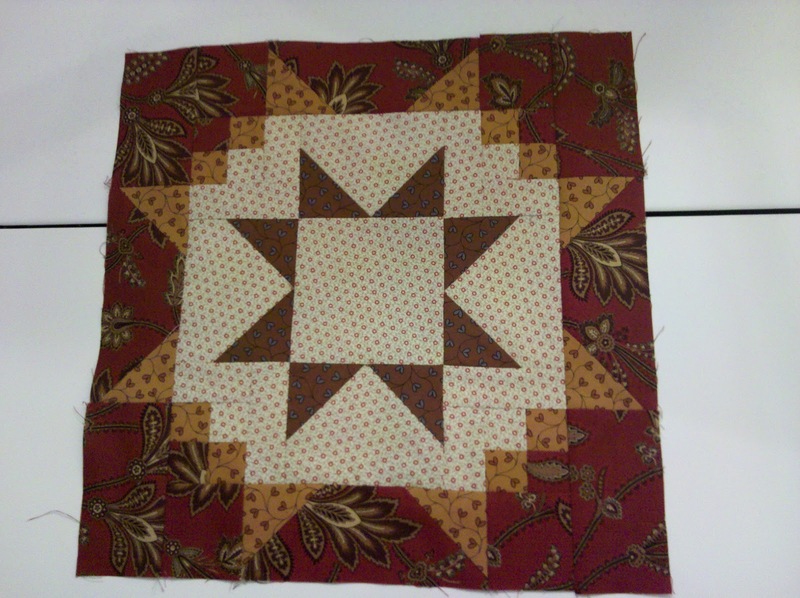 The second book is also dear to my heart since it features quilts patterned after ones made during the Civil War. 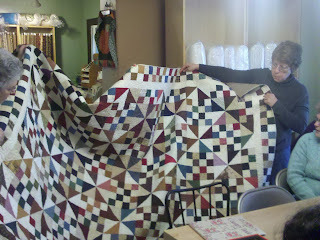 I love reproduction fabrics & quilts! 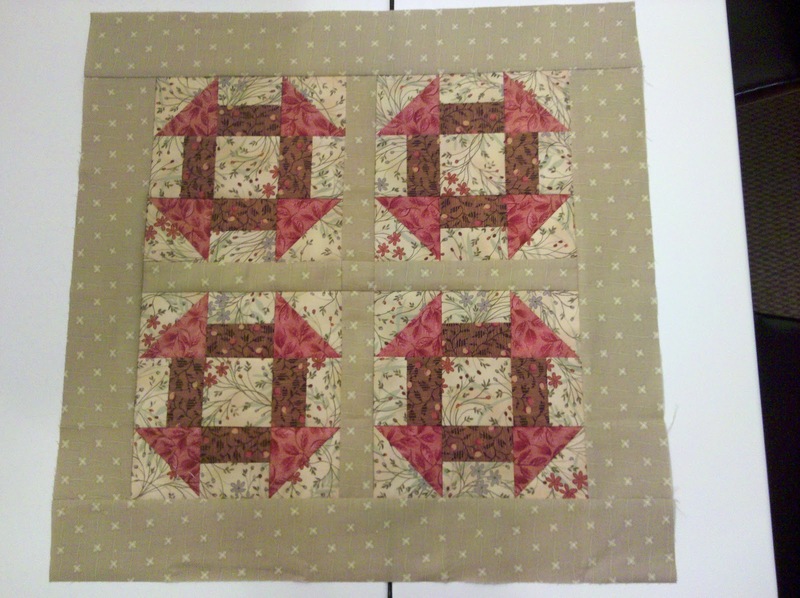 There are 16 easy projects, including large and small quilts, plus a pincushion, sewing box, and needle case. Learn how women's efforts during the Civil War led to increased civil and political involvement among women. See historical photos and read excerpts from letters written to and from soldiers during the Civil War. A part of history with wonderful quilts! I am so anxious for Spring-warm weather, green grass and of course the beautiful flowers that Spring always brings! I decided that I needed to have Spring begin indoors! 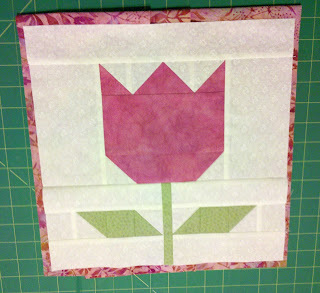 I made a tulip wall hanging in 2 colorways to help celebrate Spring! 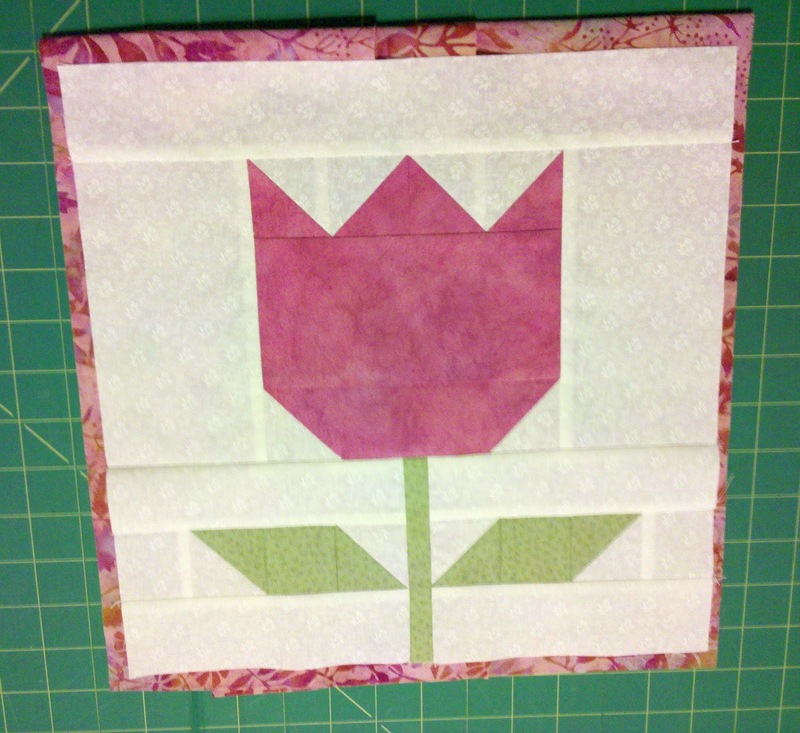 A beautiful paisley print tulip and a brighter batik tulip. I made kits for each colorway. 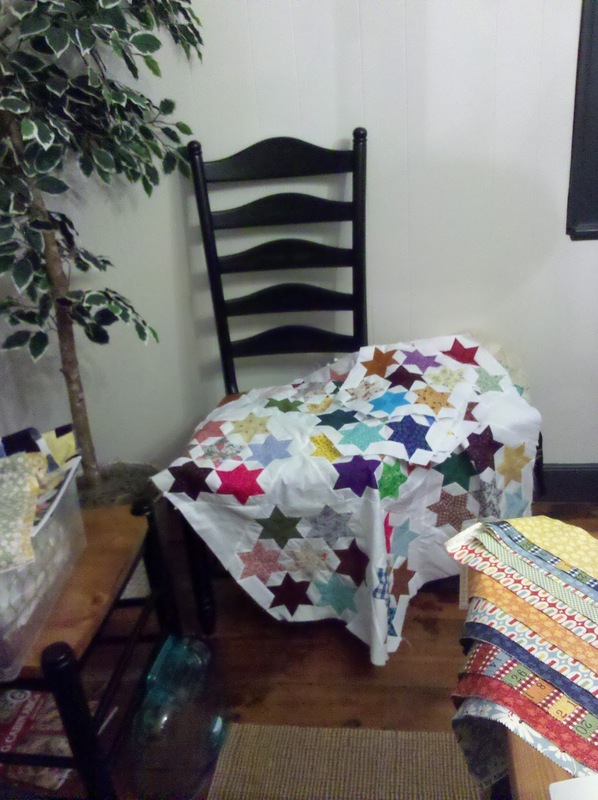 The kits are $9.95 each and contain the pattern and all the fabric needed to make the quilt top, backing and binding. 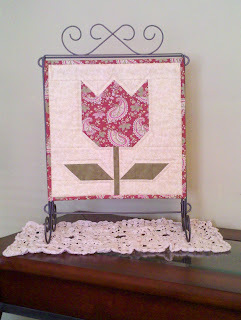 These are perfect for the scroll frames as shown with the first picture or just hung on the wall or a door. They would even be great as pillows! My DIL, Zlaty made a cute wall hanging that would also work well on the scroll frame or hung on a door or wall. It is from the book "Be Attitudes" from Art to Heart. 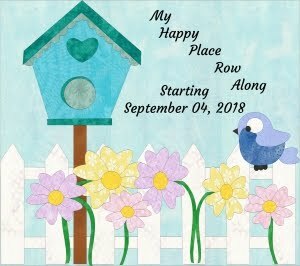 This book features 12 different blocks for each month of the year. They are just adorable! Isn't this just too cute! I love it! 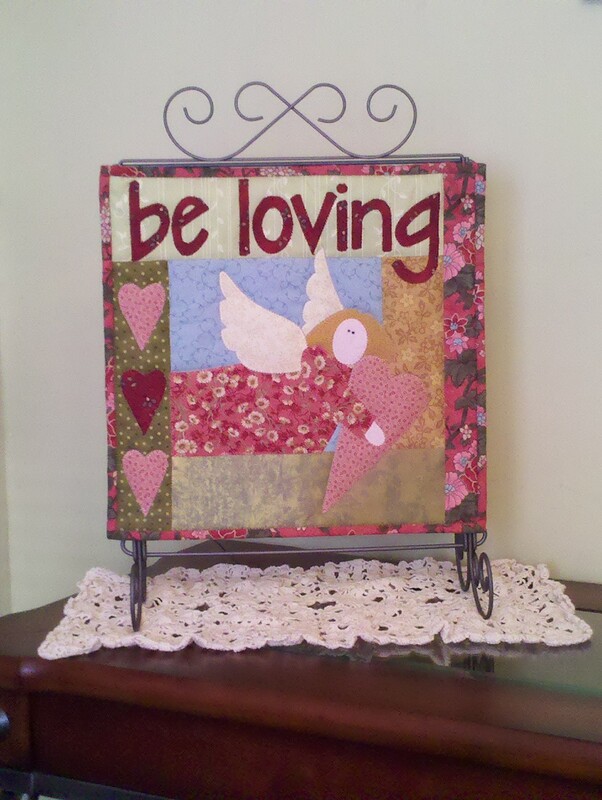 Now it's time to dig out your spring fabrics and bring a little bit of Spring cheer into your home. 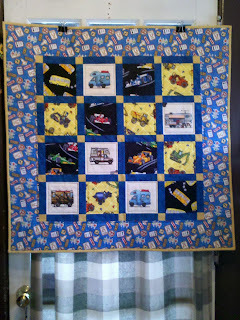 I just finished an I Spy quilt for my youngest Grandson, Gabriel. He loves trucks and cars, so that is what I used to make his quilt. 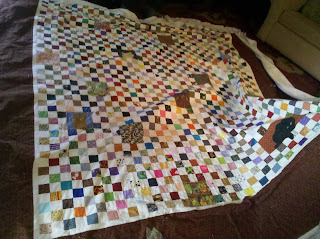 I always make the I Spy quilts small so that the kids can drag them around and just love them! I hope he enjoys finding all the trucks, cars, buses, and campers. 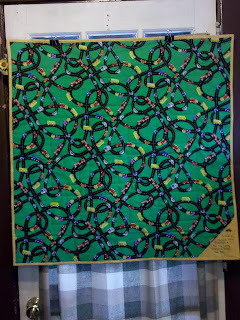 I even found a fabric with roads on it for the back.